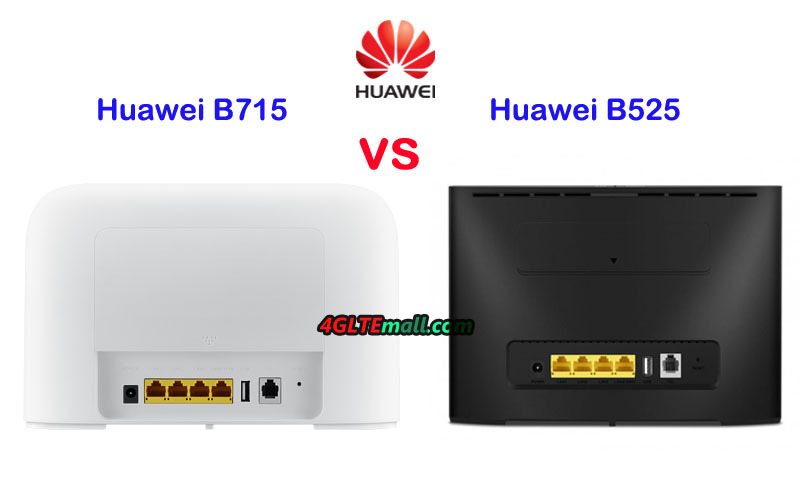 Since 4G LTE is becoming the mainstream, many people abandoned their ADSL router to change to LTE 4G Wireless routers for their home or offices. 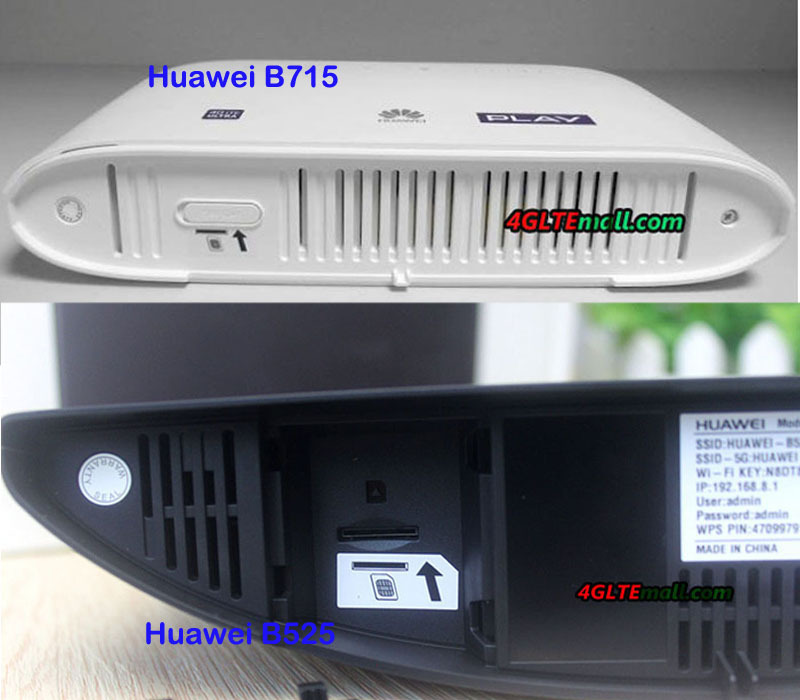 As the top network equipment worldwide, Huawei 4G LTE Router has gained a great reputation from the thousands of worldwide users. 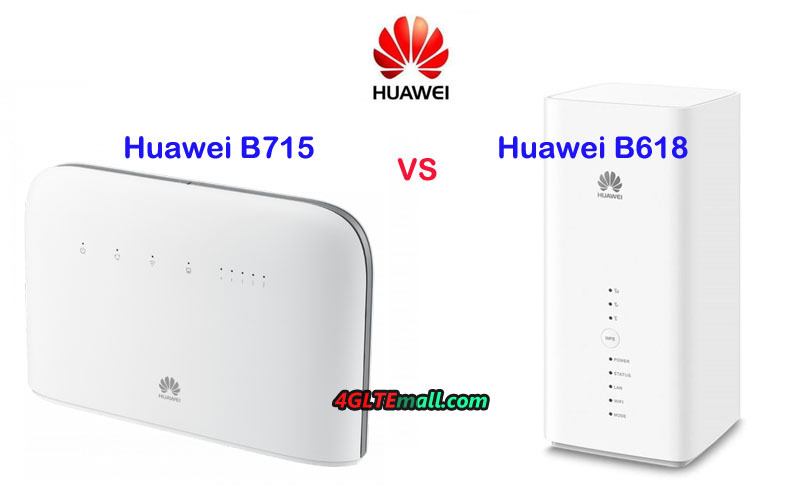 However, there are many Huawei 4G LTE Routers available in the market, if someone wants to buy one Huawei 4G LTE router, which one to buy? 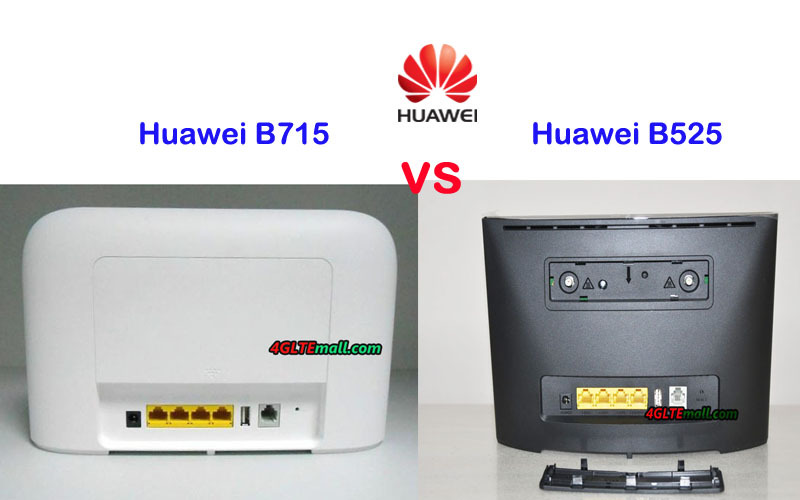 Today, we would like to recommend two latest Huawei 4G Routers: Huawei B612 and Huawei B715 WiFi Router. You may ask: What’s the difference between the B612 and 715? Then read the following content and we suppose you will find the answer. 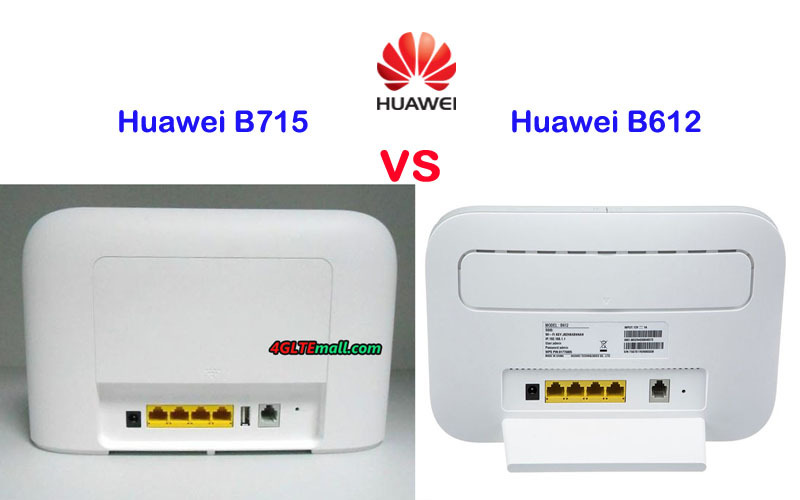 Chipset HiSilicon LTE Cat6 Chipset ? 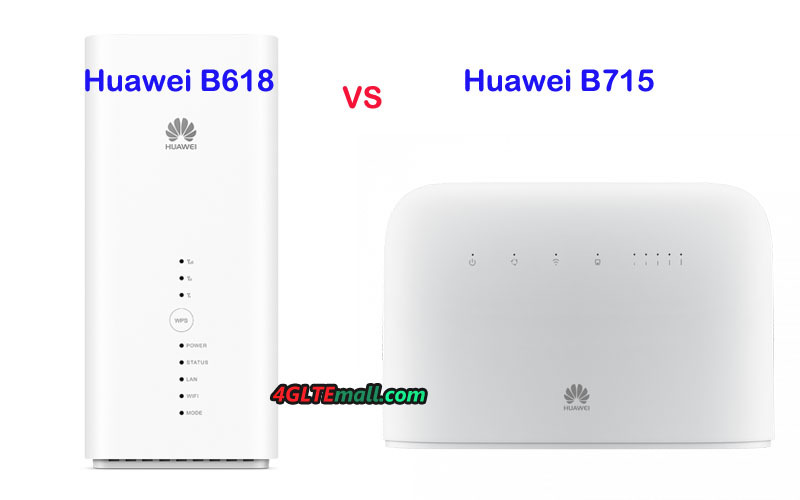 From the specs table, we can see even though the two Huawei LTE routers has the similar appearance. They are different in the specs. 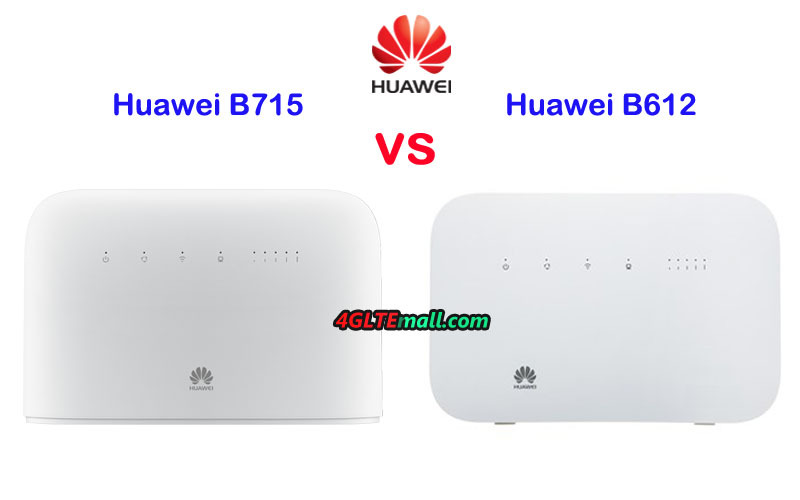 Huawei B715 is more advanced in the specs, it could support LTE category 9 and could achieve download speed up to 450Mbps while the Huawei B612 modem supports LTE Cat6 and achieve download speed to 300mbps. 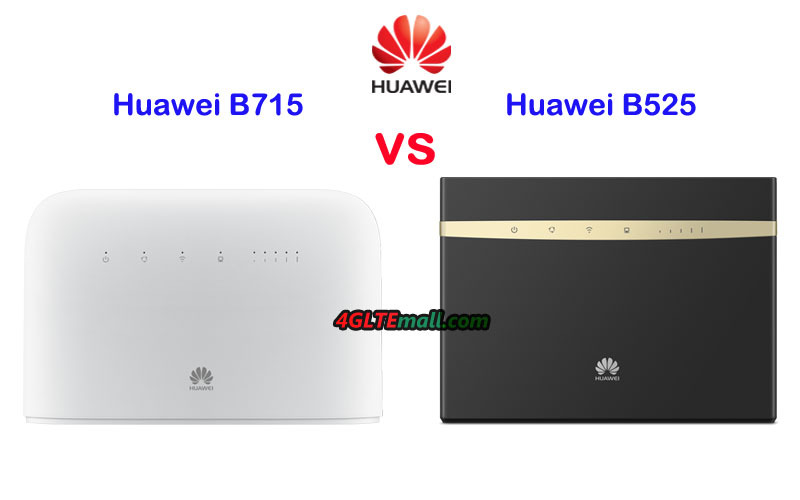 Huawei B612 has two variant models: B612s-25d and B612s-51d while Huawei B715 has only one model now. 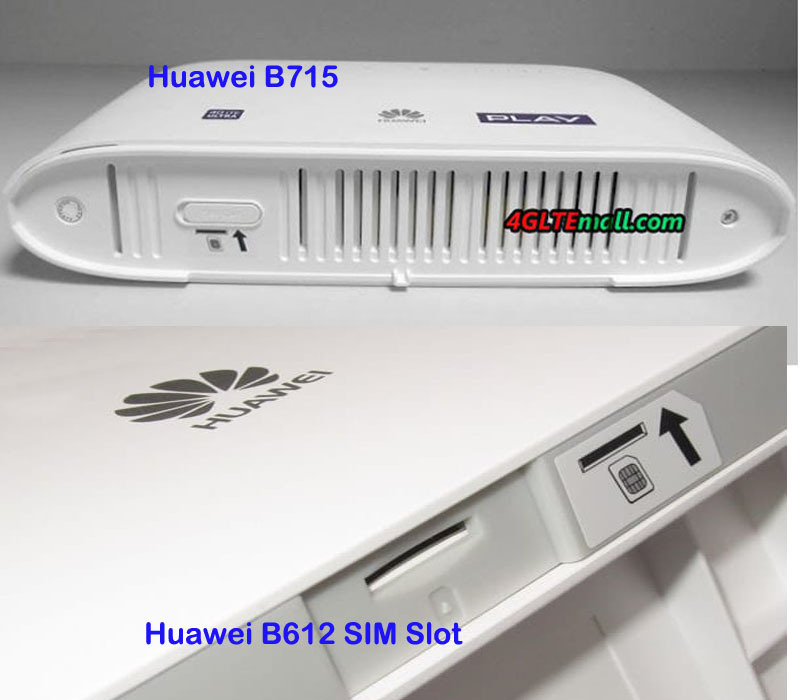 The variant models make the unlocked B612 could work in more widespread areas with more possible network providers. 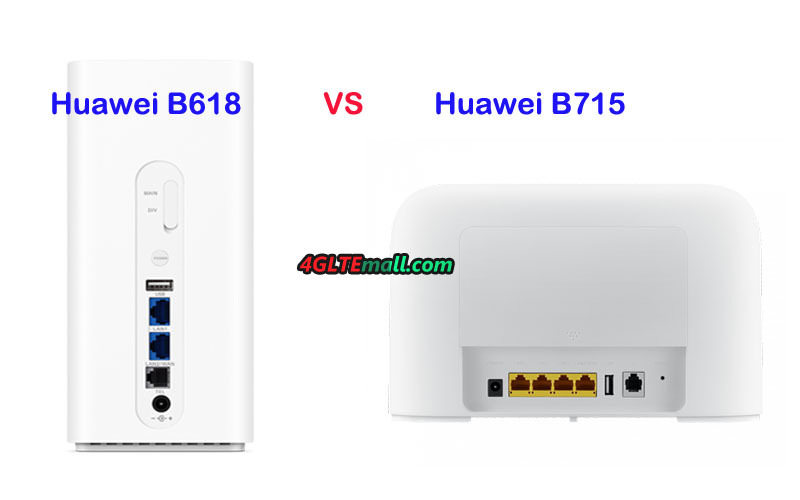 We suppose there will be new variant models available for the B715 router in future like Huawei B593 Router.